Today, 13 startups will present to a room filled with investors, industry analysts and media at TechStars Demo Day in Boston. 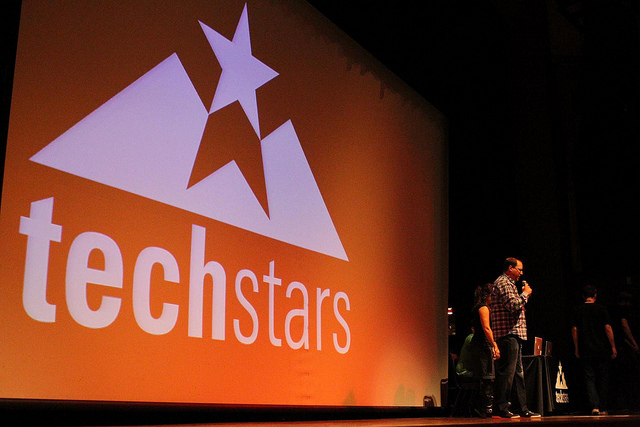 In case you haven’t heard of TechStars, it is an elite mentorship-driven start-up accelerator that is funded by more than 50 venture capital firms, and more than 25 angel investors. TechStars operates in 4 cities nationwide including Boulder, Boston, Seattle New York, and has more than 300 mentors, 1,000 investors and 78 alumni TechStars companies in its network. Last year, TechStars received over 3,000 applications for approximately 50 positions, making the accelerator program harder to get into than Harvard or Yale with an acceptance rate of approximately 1.50%. Here’s a quick look at the 13 startups as we ready ourselves for the event. There will likely be plenty of announcements to report, so check back for more over the next few hours. According to Psykosoft, we are all artists, but we “just never had the right tools to express [ourselves].” The French startup is developing a suite of applications that make it easy to be creative (like Psykopaint), is led by CEO Matthieu Gosselin and has already participated in the Seedcamp accelerator program last year. Murfie is the “The friendly music market.” They offer a buying/selling/trading community for audio files, as if they were physical CDs. Hailing from Wisconsin, the startup is a modern take on the neighborhood record store. Boston and Philadelphia-based Zagster provides complete bike sharing and bicycle rental solutions for property managers, universities, businesses, hotels and more. GymPact hopes to help users exercise using real cash incentives. The Harvard educated team has already gotten quite a handful of attention (New York Times, CNBC), because the service actually fines you for not exercising. DocTrackr lets you secure manage and track shared documents. Headed up by CEO Clément Cazalot, this French startup is already profitable with $150,000 in annual revenues. Mortar “makes it easy for companies to store, access, and manage large data sets in the cloud, using the Hadoop software framework (Boston.com).” The company wants to help anyone with a pile of under-utilized data. UberSense develops mobile video analysis solutions for coaches and athletes. The company’s apps make it easy for anyone to video-record, analyze, and improve their technique and game tactics. Libboo is a web community of authors dedicated to creating the next digital bestseller. Libboo offers a way for writers to publish to Amazon and Barnes & Noble at the click of a button, and then build teams of influencers and fans to work together to create bestselling books. Testive provides quick online tests that predict how they’ll perform on the SAT. The company hopes to help students improve their scores fast, while making the prep process apart of their everyday routine. Bison, with its wonderfully geometric logo design, wants to help you take control of your deal flow with powerful fund summaries. The name Bison stands for Boston Illiquid Securities Offering Network. Shopsy, founded by DC-based designer Lisa Morales-Hellebo, lets users assemble complete outfits based your own taste. Simply Good Technologies’ entire goal is to drive in-store sales for businesses. Based out of Toronto, SGT hopes to make to mobile coupling simple and social. Laveem, previously Lessonsmith, is developing a “Food Genome Project,” to create “the largest food and nutrition knowledge base in the world.” The startup’s “goal is to be able to support an entire ecosystem of applications that can change the way the world eats and help people make better dietary decisions in their lives.” SweeterSpoon is the company’s first project. Overall, the entire class looks quite promising, with a strong emphasis on design and function. Today will have a massive impact on the future of each startup, so we’ll have to check back later in the year before we know which companies will thrive. TechStars Boston announced earlier that a second program will be happening this fall, so you can expect a completely new class of startups demoing here again this winter.